Mythe – a Saxon word meaning confluence of rivers identifying a proximate area of land. 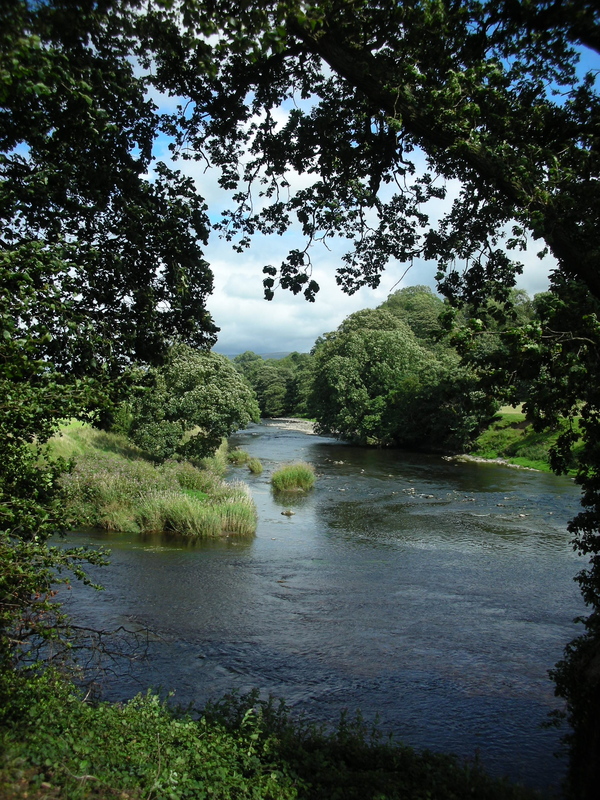 This is the south side of the Ribble next to Mitton Hall where a working farm is still used to raise sheep. 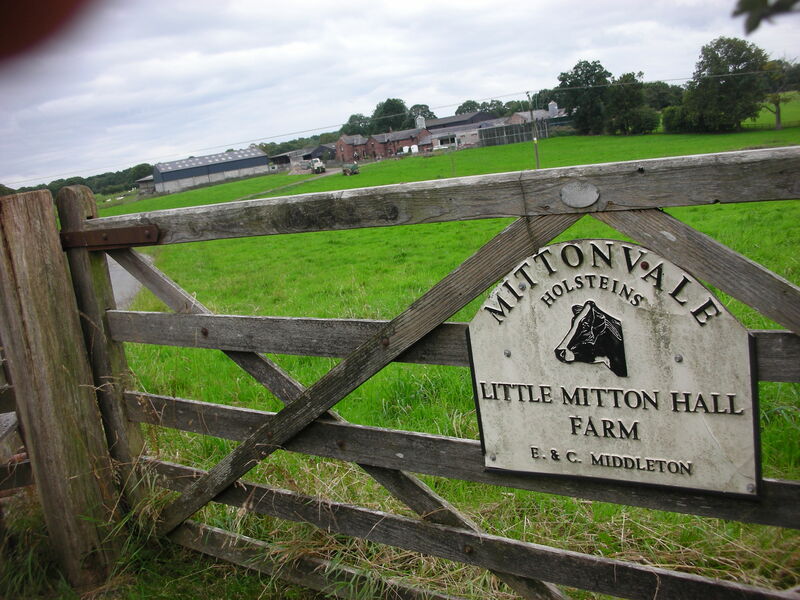 Little Mitton Hall Farm is still at the same place the Saxons had one nearly a thousand years ago. “Little” Mitton refers to the old Lancashire side of the Ribble prior to the 1974 boundary changes. The farm is located at the confluence or ‘mythe’ of the rivers Hodder and Ribble. Little Mitton Hall Farm is on the right bank at the confluence with the Hodder to the left. ‘Mitton itself stands at the juncture of the two streams and gets its name from this circumstance, “the farm at the mythe”. Professor Allan Mawer notes “the only other places similarly named stand in every case at such a juncture, viz., Mitton, Staffs. Of Severn and Stour; Warw., of Avon and Carrant; Mytton, Salop. Of Severn and Perry; Myton, Yorks., of Swale and Ure”. At Tewkesbury there is a meadow between the Severn and the Avon the bears the name of “the Mythe”. This picture is taken from the bank of Winkely Hall Farm where the rivers meet. The locals now call it “Hodder Foot” meaning at the foot of the Hodder river. In ancient times this was referred to as a “mythe”, meaning a confluence of rivers. ‘The only portion of Mitton in the County of Lancaster is the joint township of Aighton, Bailey and Chaigley, the remainder of the Parish being in the West Riding of Yorkshire and separated from the Lancashire portion by the River Hodder. This township is bounded on the South by the Ribble, and is skirted by Longridge Fell on the North. It is about 4 ½ miles in length and 3 miles in breadth, contains about 5,800 statute acres and extends from about 4 to 8 miles West by South from Clitheroe. The district is in the lower division of Blackburn Hundred, the honor and poor law union of Clitheroe, and diocese of Ripon.’ .